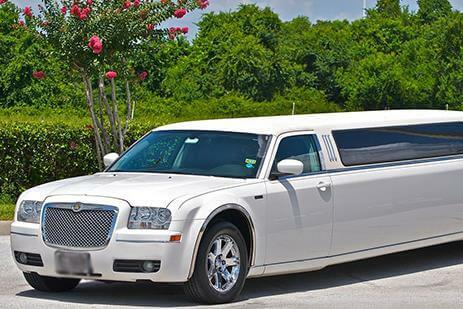 Compare pricing for limo service in Pueblo, CO. Car service, transportation and limo rentals near Pueblo. Price4Limo has over 12,000 vehicles in our inventory with photos and prices for you to choose for your transportation needs. Getting a free quote takes less than 30 seconds and no email is required! Limo Service Pueblo CO . Known for our customer care and our unparalleled limousine service, Pueblo Colorado Limousine Rental serves 81001, 81008, 81012, and virtually every other address in the area. Our fleet consists of the gamut of luxury transportation, from the stretch limo to the new generation of buses, such as the Escalade and Range Rover. 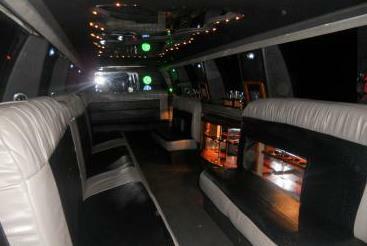 Whatever your occasion and however many people are boarding, we have the right limo hire for you. We also bring affordable limo rentals to surrounding cities like Avondale, Boone, Parker, Raton, Colorado Springs, Canon City, Highlands Ranch, Castle Rock, Trinidad, Black Forest, Southglenn and Fort Carson. With so many styles, sizes, models and custom looks to choose from, you’ll find the trained specialists of Pueblo CO Limos can ensure that you get all the amenities, luxury touches and options that are important to you - and at the lowest possible limo prices. County seat of Pueblo County, you’ll find Pueblo along the Arkansas River in the southern part of Colorado. This is home to Colorado State University satellite campus and the Pueblo Municipal Airport. Rich in diversity and cultural heritage, Pueblo has numerous museums and outdoor amenities. The El Pueblo History Museum is known as the “Cultural Crossroads on the Arkansas,” and Rosemount Museum is referred to as “Colorado’s Crown Jewel.” The Sangre di Cristo Arts Center has a theater and dance studio, as well as hosting the Buell Children’s Museum. The Pueblo Zoo gives a close look at 130 species of animals, and Pueblo is home to the Colorado State Fair. This is the state’s largest annual event, held on a 100+ acre turf. The semi-pro Pueblo Chieftains National Baseball Congress team plays home games here, and a two-hour drive gets you to Denver where you can watch the Denver Broncos, Colorado Rapids, Denver Nuggets and other pro teams. Just one click or call will get you the best limo quotes from Pueblo CO Limo Rental. You can even load dozens of your friends in some of our ultra buses for a trip into Denver for a Broncos game. With so much luxurious space and all the accoutrements, you’ll enjoy the journey as much as the destination! Gather all your buddies and go to Colorado Springs for a night on the town, including a concert at The Black Sheep or a show at Loonees Comedy Center. Refresh at Rum Bay, then dance up a sweat at The Underground. Check out as many clubs as you like - Club Q, V Bar and The Mansion Nightclub are great places to meet and greet. Corporate transportation or upscale business travel is impressive in a Lincoln Stretch. When you provide client airport service, you definitely make an impression. 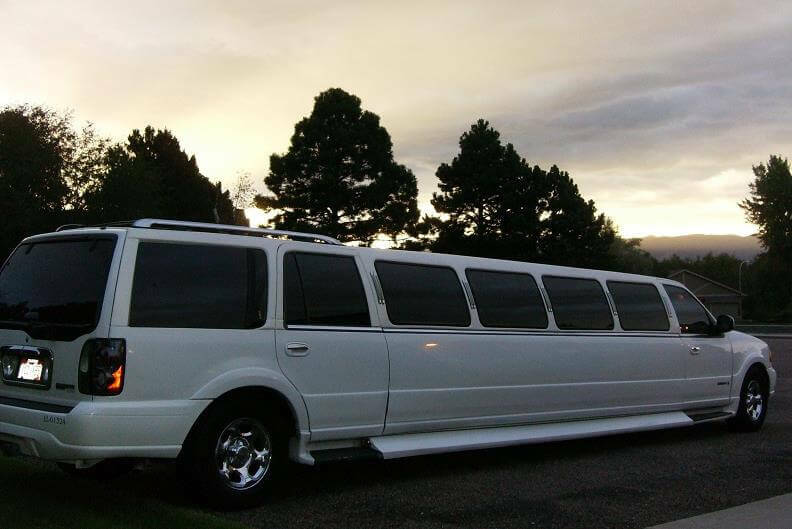 There are so many occasions and events that are just right for a Pueblo Colorado Limo. Bachelor and bachelorette parties, proms and graduations, bar mitzvahs and bat mitzvahs, festivals and concerts are all more fun when you don’t have to limit the number of participants. The Chrysler 300 Stretch is another option for birthdays, anniversaries and other festive occasions - and when you have no traffic or parking responsibilities getting there is half the fun. We offer several styles in white, perfect for wedding transportation or for afternoon affairs, like girls’ day of lunch at DC’s on B Street followed by relaxing spa services.